Did you know the Nau Gaudí, or “Gaudí Warehouse”, is the first building designed by Modernist architect Antoni Gaudí? It was part of the factory built under commission from the Cooperativa Obrera Mataronense: a much wider, more ambitious project, thought up between 1878 and 1883. It is a highly important building, as it opened up the path to Gaudí’s most iconic work. 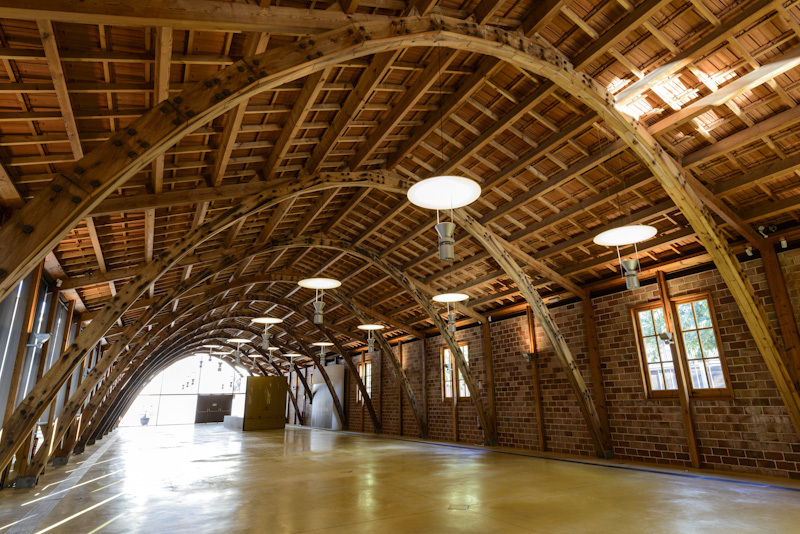 With the Nau Gaudí, the architect experimented with parabolic arches as structural elements. Without this Mataró cooperative, Gaudí would not have developed the formulas he later used for the attic of La Pedrera, his famous church model and the Colònia Güell. The friendship between Gaudí and Salvador Pagès, one of the leaders of the cooperative movement in Catalonia, was a key element of this collaboration. Out of his whole project, only the cotton-bleaching warehouse and the adjacent latrines remain. Since November 2010, it has been home to the Bassat Collection in Mataró, a unique collection of some of the most representative pieces of Catalan art from the second half of the twentieth century, including over 2,000 pictures and sculptures, complemented by a wide selection of graphic art. The Nau Gaudí also hosts temporary exhibitions of contemporary art and activities for all visitors. The Nau Gaudí was declared a historic-artistic monument by the Spanish state in 1969 and a National Heritage Site by the Generalitat de Catalunya in 1982. Opening hours: Tuesday to Friday from 5 PM to 8 PM; Saturdays from 11 AM to 2 PM; and Sundays and holidays (October 12, November 1 and December 6 and 8) from 11 AM to 2 PM.